The Harris County District Attorney’s Office has yet to dismiss the case against Preston Cody Talbot, 27, who was arrested last week for avoiding a toll on the Sam Houston Expressway and charged with a misdemeanor, Harris County officials said. Earlier reports had incorrectly indicated that the judge had dismissed the case, police said. Talbot is accused of installing a device in his car that puts a flipper down in front of his license plate so that cameras at toll plazas can’t read his plates. Police said he owes $5,473 in unpaid tolls. “This is someone who was against ‘Don’t Ask, Don’t Tell’ who felt it was too pro-gay. He wanted to make sure even closeted members couldn’t serve,” Buttigieg said Tuesday about Pence on CNN. The ambassador defended Pence and his wife, cited their Christianity and said the couple “accepted” Grendell and his partner. LOS ANGELES – The desperate cry for help came from a girl who had lived in such isolation for 17 years that she didn’t know her address, the month of the year or what the word medication meant. The couple pleaded guilty in Riverside County Superior Court in February to torture and other abuse and neglect so severe it stunted their children’s growth, led to muscle wasting and left two girls unable to bear children. Before the 17-year-old escaped from the home in a middle-class section of the city of Perris, about 60 miles (96 kilometers) southeast of Los Angeles, the Turpins had lived largely out of view. David Turpin, 57, had been an engineer for Lockheed Martin and Northrop Grumman. Louise Turpin, 50, was listed as a housewife in a 2011 bankruptcy filing. Their home was neatly kept and neighbors rarely saw the kids outside the home. When deputies arrived, they were shocked by what they discovered. A 22-year-old son was chained to a bed and two girls had just been set free from their shackles. The house was covered in filth and the stench of human waste was overwhelming. Deputies testified that the children said they were only allowed to shower once a year. They were mainly kept in their rooms except for meals, which had been reduced from three to one per day, a combination of lunch and dinner. The 17-year-old complained that she could no longer stomach peanut butter sandwiches — they made her gag. The Turpin offspring weren’t allowed to play like normal children. Other than an occasional family trip to Las Vegas or Disneyland, they rarely left the home. They slept during the day and were active a few hours at night. “We don’t really do school. I haven’t finished first grade,” the 17-year-old said, according to Deputy Manuel Campos. Children said they were beaten, caged and shackled to beds if they didn’t obey their parents. Investigators found that the toddler had not been abused, but all of the children were hospitalized after they were discovered. The seven adult children were living together and attending school in February when their parents pleaded guilty. Attorney Jack Osborn, who represents them, declined to comment on them Thursday. It’s not clear if any children will attend the sentencing, but they will be offered a chance to speak or can offer written statements to be read in court. Defense attorneys would not say if their clients will address the court. The couple pleaded guilty to 14 criminal charges. Prosecutors said the deal would likely keep them in prison for the rest of their lives and spare the children from testifying. “The defendants ruined lives, so I think it’s just and fair that the sentence be equivalent to first-degree murder,” District Attorney Mike Hestrin said at the time of the plea. BEIJING – Remarks by the head of Chinese online business giant Alibaba that young people should work 12-hour days, six days a week if they want financial success have prompted a public debate over work-life balance in the country. Columbine High School is moving ahead with ceremonies marking the 20th anniversary of an attack that killed 13 people, and the community is awaiting more details on what led a teenager allegedly obsessed with the 1999 shooting to buy a shotgun and kill herself in the snowy foothills nearby. A religious service Thursday night kicked off three days of commemorative events leading to a day of community service projects and a ceremony Saturday at a park near the school. An already tense time at the school was exacerbated after 18-year-old Sol Pais traveled to Denver from Miami on Monday and immediately bought a pump-action shotgun. Her body was found Wednesday, about 24 hours after Columbine and other schools locked their doors in response to fears that she intended to carry out her own attack. Colorado schools that were shuttered just ahead of the 20th anniversary of the Columbine school shooting have reopened, a day after authorities found the body of a young Florida woman who was obsessed with the shooting. Many schools imposed increased security measures when they reopened on Thursday. The FBI said the body of Sol Pais was discovered Wednesday in mountains outside Denver with what appeared to be a self-inflicted gunshot wound. Columbine and dozens of other schools were closed Wednesday because of fears that Pais posed a threat. About 500,000 students in the area that includes metropolitan Denver and Colorado Springs were affected. Authorities say Pais never threatened a specific school but made troubling remarks to others about her “infatuation” with the 1999 shootings. The FBI also says Pais purchased a shotgun immediately after arriving in Colorado on Monday. The school closures affected about 500,000 students. Events planned to mark the anniversary of the 1999 Columbine attack will go on as scheduled throughout the week, including a ceremony near the school on Saturday. Authorities want to ensure that a Florida teenager who was obsessed with the Columbine school shooting was acting alone as dozens of Denver-area schools plan to reopen following a region-wide hunt for the young woman. The FBI said the body of Sol Pais was discovered in the mountains outside Denver with what appeared to be a self-inflicted gunshot wound on Wednesday, about 24 hours after Columbine and other schools locked their doors in response to fears that she intended to carry out her own attack. The anniversary of the Columbine attack is Saturday. HONG KONG (Reuters) – Embattled Chinese conglomerate HNA Group has denied accusations of embezzlement and financial irregularity made by a rival group of shareholders in Hong Kong Airlines (HKA) as the two sides fight for control of the struggling carrier. The allegations were made by Zhong Guosong and Frontier Investment Partner who between them control 61 percent of HKA’s shares. On Tuesday, they declared they had taken control of the carrier and made Zhong, a former HKA director, chairman after an extraordinary shareholder meeting. In an emailed statement to Reuters on Friday, HNA said that the allegations “are false”. “HNA Group is committed to the highest standards of integrity in all of its activities and expects the same of all of its representatives,” it added. HKA’s website still lists Hou Wei as chairman. Hou joined HKA in September last year after more than four years with HNA-controlled Hainan Airlines, according to his LinkedIn profile. HNA holds about 29 percent of HKA, having cut its majority holding two years ago. This week’s battle comes as HKA is struggling to survive. Earlier this month, airline executives told shareholders the company needed at least HK$2 billion ($254.95 million) to avoid the risk of losing its operating license – and that it swung to a loss of about HK$3 billion last year. Zhong and Frontier representatives at that meeting, however, demanded details of the 2018 accounts and questioned the close ties between HKA and HNA affiliates, which include loans and equity investments by HKA to HNA groups, according to HKA’s 2017 accounts seen by Reuters. 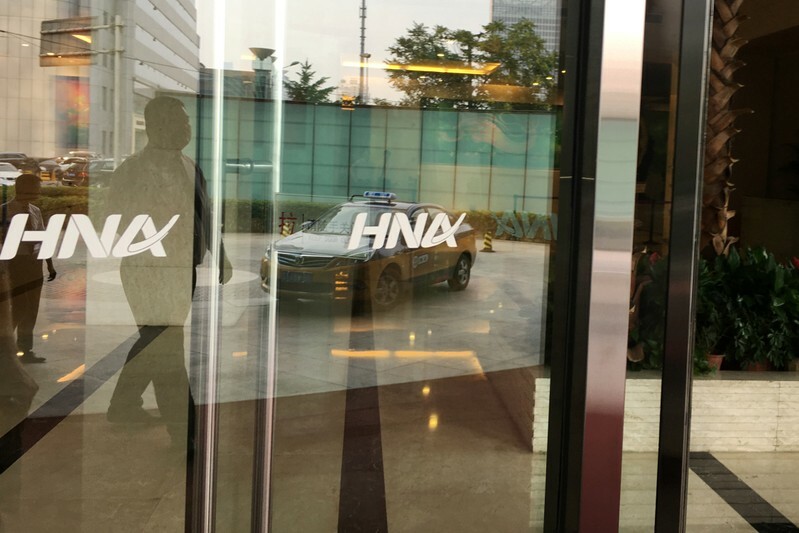 On Thursday this week, the two sides clashed again when Zhong and Frontier accused HNA of storming HKA’s head offices and removing documents – claims denied by an HKA spokesperson. HKA said later that day that the extra security staff visible in the lobby and foyer of HKA’s offices were to preserve order that had been disrupted by the shareholder dispute. On Thursday evening, Hong Kong’s Transport and Housing Bureau said it had met with representatives for both sides and was monitoring the situation. It added that the Civil Aviation Department had stepped up its oversight of HKA’s flight operations to ensure no disruption over the holiday weekend. CHICAGO – A Chicago man has been found guilty of first-degree murder in the 2012 death of a 7-year-old girl who was shot outside her home. Jerrell Dorsey was convicted Thursday by a Cook County jury. The 33-year-old Dorsey was one of two gunmen who opened fire on rival gang members on a West Side street in June 2012, striking Heaven Sutton. The girl was shot near a homemade snack stand where she would sell candy. The man believed to have been the second gunman hasn’t been charged in the shooting. He is awaiting trial for an unrelated attempted murder charge. Prosecutors say the gunmen had targeted two brothers and shot one in the leg. One brother identified Dorsey as the shooter in grand jury testimony, but recanted on the witness stand this week. Defense attorney Michael Walsh argued there was no physical evidence tying Dorsey to the crime.